This might be one of my favorite selections we've featured on Friday Freebie so far. Spirit Family Reunion are one of those bands you need to experience live. As great as their albums are, it's just impossible to capture their live show's joy and exuberance. Live they just have so much energy, and not like how some other current folk acts show energy by jumping around on stage unnecessarily. Their playing has the energy just from the pure love of playing. 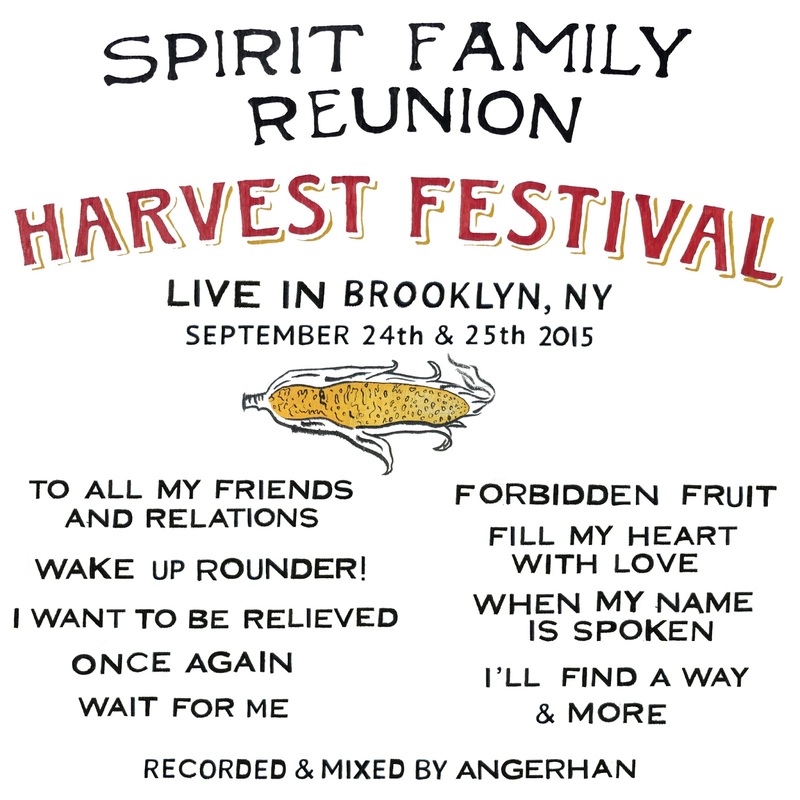 While Harvest Festival Live, recorded at the Harvest Festival in Brooklyn last September, can't quite duplicate the experience of seeing Spirit Family Reunion live, it's the closest thing we might ever get. The band plays the favorites like "Wake Up Rounder!" and "I Want to Be Relieved." It's a great retrospective of their earlier material and perfect for old fans and for anyone discovering the band. They even added a few songs by their friends (Big Kitty, The Horse-Eyed Men, and Innov Gnawa) to give them a bit more exposure. That might be the most Spirit Family Reunion thing about this whole album. 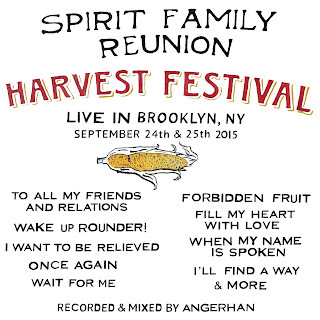 Harvest Festival Live is available for free on Spirit Family Reunion's Bandcamp. (You can only listen to four songs on the site, but you can download the whole thing for free.) While it's free, you can always use the "Pay What You Want" feature to throw something to the band. Be sure to check out their website for more information.